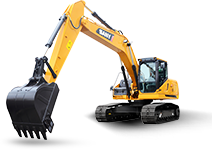 SANY produces wheeled excavators and crawler excavator with advanced technology and super design. Feature by high quality and ease of operation, SANY products have become the most well-received construction equipment in India. As a world-leading heavy equipment manufacturer, SANY never stops providing better products and services to customers.